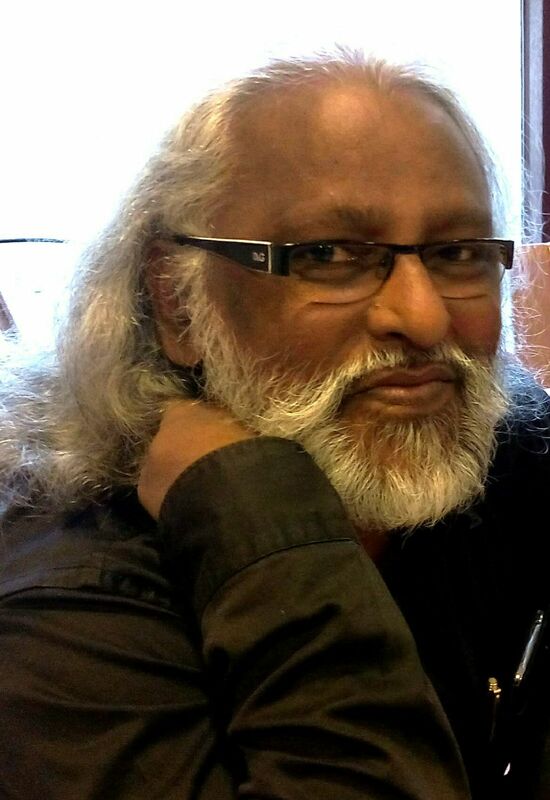 Born in a family that lived below poverty line and of totally illiterate parents, M C Raj’s rise as a well-known writer and philosopher is phenomenal. He has a degree in philosophy and another degree in theology. Started his career as a human rights activist in Bangalore and later started his own organization along with his wife Jyothi. Known as REDS this organization supports an Adijan Movement in Karnataka. Through this organization and movement they have managed to remove 90% of untouchability practices and stop atrocity completely at Tumkur District. Raj is deeply concerned with global warming and has succeeded to register a CDM project with the UN. REDS has provided over 50,000 solar lamps to as many families in Karnataka. He lives in a village at Tumkur District and his organization has regained 11,902.25 acres of lost land for the poor. His zest for reading and writing remained alive all along his engagement with the poor. He has written 25 books, 8 of which are fiction novels. He writes on Philosophy, Psychology, Spirituality, politics etc. Nalini - Thank you so much, Raj for taking time out of your busy schedule to talk. Yours is an inspiring life - right from social activism to avant-garde novel writing. But what inspires you, in life and in literature? M C Raj - My childhood was in a leprosy hospital where my father worked as a wage earner. We lived inside the compound of the huge hospital. I spent all my time, except my school time and playing time with the European and Indian sisters who managed the lepers. I used to see my father spending all his time amidst the lepers. The sisters used to clean the wounds of the lepers without a slight reaction in their faces. I used to wonder why and how they did this. I never tried to find an answer to my questions. People who used to visit the hospital always asked me what I wanted to become in life. I said, “I want to help people as the sisters do.” When I finished my studies and wanted to think of my future I only thought of the poor. During my studies I was an ardent researcher on Karl Marx. I read more books other than text books. I was an avid reader of books. I joined a human rights organization in Bangalore and then when Jyothi married me we decided to continue the same line of work in the rural areas of Karnataka leaving Bangalore. Reading was the best passion I had in life. I was a singer, a sportsman, a dramatist. I was a person of multiple talents but reading of books overtook all of them. I worked on a meagre salary. The first thing I did was to ride to a bookshop in Bangalore and buy whatever books I didn’t have on Marxism and social sciences. At the end of the month, occasionally I used to go without food. But I loved books all the way. I started with writing on Philosophy and Politics and branched off to Psychology and Spirituality. Some of my friends from the Netherlands insisted that I should write my autobiography as by then I could showcase my achievements in the rural areas of Karnataka. I am, by nature, very shy and could not gather myself to write my own story. Therefore, I decided to write my life as a novel. Thus started my initiation into fiction writing. Nalini - How do you see Indian writing in English evolving? M C Raj- We had a Minister in the government of Karnataka who called the Kannada literature as cattle feed. Sometimes I feel like saying that about the Indian authors writing in English. However, I try my best to be charitable and appreciate the works of those who have written some quality novels. Both in philosophy writing and fiction writing the standards set by Indian writers tend to be far below the standards of writers in other countries writing in English. Having said this I must admit that I am much edified by the number of young English writers evolving in India. This is a welcome sign. They must now make conscious effort to raise the bar. It is a hard work. I have seen some people reviewing my novel being critical of my grammar and punctuation while their reviews contain the same mistakes that they accuse me of. We must understand that English does not have one standard. American English, UK English, Irish English, Australian English, Indian English etc. have their idiosyncrasy. Therefore, we need not look for a uniform English in our writing. However, the type of English that we write in India does not sell in the international market. This is important to remember. Some writers are just bullshitting in English caring a damn for spelling and grammar. Aesthetics is another area of concern in Indian authors writing in English. However, this is not something that I can say anything about. Each author has a unique sense of aesthetics and has a right to have it. 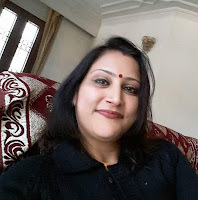 Nalini - As a poet, I am interested to know the influence of poetry on your life. Do you write poems? If yes, please share one. Did I spring forth into the world! Sustaining me, Oh, nectar of life! Husband of the male order! Test of fire to prove vaginal purity, Hey Ram! Where did you burn your chastity? Scattered all around the Vanvas! The cruelty, the barbarity to womanhood! Oh Ma, Oh Mother Earth, Oh my life! Nalini - What are you reading right now? Are there any authors (living or dead) that you would name as influences? M C Raj- I refuse to be influenced by authors. I like to be what I am. However, there are some authors whom I have liked. Habbermas, Foucault and Chomsky are some. Among novelists I like Mario Puzo and Agatha. But the one author who has had my best admiration is Franz Fennon. I am reading a lot of fictions as I have started reviewing. But generally I read book of philosophy. That is what I enjoy reading. Nalini - You are a prolific writer with 25 books out of which 8 are work of fiction. And yet you relentlessly work for human rights. How do you balance it? M C Raj- This is a question that many of my friends in India and abroad ask me. I ask them in return as to how many hours they have on a day. They say 24 hours. I then say that I have 28 hours every day. In surprise they ask, “how?’ I say that I borrow four hours from the next day and make my day 28 hours. Time is what we make and not what someone has determined. The cosmos has no time. It is eternal. As for balancing, writing fills me with energy and my work fills me with more energy. I never run short of energy for doing many things simultaneously. Nalini - Tell us something about your organisation REDS that you run along with your wife Jyothi. M C Raj- REDS is a people’s organization that my wife Jyothi and I initiated. Jyothi got into full time national social engagement as a high school student. We combined Marxism and the Pedagogy of the Oppressed to work among the poor which later turned into a battle against untouchability and the development of the Adijan people. At the psychological level we opted for Karl Jung’s approach of concentrating on latent strength and rejected Sigmund Freud’s approach of focusing on weaknesses. The people were euphoric when they unearthed their hidden strength as their own. Besides the empowerment work that REDS does, we also spent a lot of energy on global warming mitigation. We succeeded to register a CDM (Clean Development Mechanism) project with the UNFCCC and entered into carbon trading at the international level. We have provided solar lamps to about 50,000 families in Karnataka. I did research on the electoral systems of Germany, Norway, New Zealand, the Netherlands and Nepal and started a Campaign for Electoral Reforms in India (CERI). But our daily work has a lot to do with land reclamation. We have till now, reclaimed 11,902.25 acres of land. We also do a lot of lobbying and advocacy work on land. Nalini - How do you view present political and social scenario in terms of welfare of Adijan? M C Raj- After the rise of the BJP on the horizon of governance, the future of Adijans in this country looks very dim. Not that the Congress was any better, but there was the space to leverage. All the same, Adijans and Adivasis are only vote banks and not citizens with equal rights. This is the tragedy of India. This will continue to be so as long as the present First Past the Post (FPTP) electoral system continues in India. We are mental slaves of the British system. Adijan leadership is the mental slave of the caste leaders. Franz Fanon has said that the ultimate aim of the Black is to become White. It can easily be said about the Adijan leadership. The strong conditioning of the Adijan mind set by reservation is another major malady. The conversion of Ambedkar to Buddhism is a regressive path in Adijan liberation. There are multiple problems that beset the onward march of Adijans from within the community and from the caste system and caste oligarchies. It is here that we have offered Dalitology as a path breaking alternative to liberation. We have succeeded with this approach of own history and culture. M C Raj- I hesitate to write anything in the name of feminism as women as the best to write about it. Men should only live as feminists and not say anything about it. However, all my fictions are women centric. The book of philosophy that I wrote led to the conclusion that only when women begin to govern the world, we shall be able to see semblance of justice and equality. Well, I love women. At ta personal level, I draw much energy for my life and work from the village women. When I go to the villages the women gather around Jyothi and me and begin to sing and bless us. When they touch us from head to feet as a blessing I can feel energy physically flowing into my body. I generally never become tired of work. It is because of this replenishing of my body with the energy of our Adijan women in the villages. For the rest, women are the best judges of the life of the world. Nalini - What is your opinion about Eco feminism? M C Raj- I have not gone deep into this subject. However, as I understand it, eco-feminism is the way feminism looks at ecology, environment and in postmodern era global warming and greenhouse gas emission etc. I look at the present ecological degradation and potential disaster as a male man made. In this sense women are victims as much as Mother Earth is a victim of man’s greed and avarice. They have to get out of this victimhood without having any mercy on men who exploit the goodness of the cosmos. They are also the catalyst of change along with conscientious men. However, both men and women who swear by eco-centrism neglect Adivasis, Adijan and other indigenous communities who live in harmony with nature. There are only empty rhetoric from both men and women. There is not much learning from people whose life is in harmony with nature. They are guided by an abiding love for nature. Therefore, I am very cautious about the highly educated men and women speaking of preserving nature. It almost looks like a fashion. Nalini - You have strong female characters that form the backbone of your novels. How are they conceived or Are they inspired from real life? M C Raj- Maybe I have encountered more fascinating women in my life and am tuned to bring women as heroines. Maybe I have a subconscious tendency to project on what I was deprived of in my early childhood. Maybe it is because that many women have entered my life when I needed strong psychological support. There can be many reasons guiding me as a hidden hand in my writings. Maybe all of them work together when I begin to write. When I begin to visualize my plots I invariably look for heroines and not heroes. It is also because I strongly believe that the world’s problems are caused my men throughout human history. When I think of hegemony I know for sure that it is patriarchy that has brought many sufferings to humanity. I also have a firm conviction that the alternative to a healthy world is governance in the hands of women. I do not write my fictions just for the heck of it. I bring my inner longings, social vision and my hidden desires into life in my fictions. Only Poojamma has a real life character that is my wife. In the rest of my novels the characters are simply fictional and not real living beings. I do not want to bring my friends whom I admire into my fictions. One or other person may misunderstand them. I don’t want to hurt women but I don’t mind abusing men. In my fictions I do not take sides but only bring my admiration for women. Nalini - You are doing a yeoman service for Adijan. I am a teacher so I am interested to know about the state of education in the areas where REDS works. I feel that our government is quite indifferent when it comes to education. It is quite apparent from your own lifestory that education can be game changer. M C Raj- I am sure that education is the key to change. However, we need to qualify this education in India, especially in the context of the Adijans and Adivasis. The designers of our education system are drawn from the caste forces and with the rise of Hindutva in India text books have been subverted to teach a particular brand of syllabus. Therefore, Adijan and Adivasi leaders who go through the education machine in India come out as efficient and co-opted agents of caste forces. Therefore, I have suggested in my book Dalitology that there should be community education in every village where these two communities live. Such an education must be for all the members of the community on their history and culture. We are doing it in some villages of Tumkur District. The other issue of allocation for education is more than pathetic in India. Our education budget is reduced in order to increase the military budget. We have had totally callous governments from Independence till today. There has to be a revolution on this in India. REDS has made 100% enrollment of Adijan children in schools and putting the children back to school. We support this with our solar lamp project so that children could study at home at night. We have initiated community education in some villages where children participate. These are small and inadequate endeavors in the face of the huge challenge before us. Nalini - What were your 1-2 biggest learning experience(s) or surprise(s) throughout the publishing process? M C Raj - Not enough to write a novel! I enjoy writing. Editing is much more difficult. Don’t rush to the publisher with an unedited manuscript. The biggest surprise is the behavior of the big publishing houses and some self-publishing houses. We do not pay to the traditional publishers and therefore, we have to fall in line with their time frame. We pay for self-publishing. They get our money and forget the book. For me, one of the shocking lessons is never to let know the publisher that I am an Adijan writer. The book will never see the market. I need to develop the coping mechanisms of this world order. Nalini - How is the social media affecting society in general and writers in particular? M C Raj- Media in general has a strong influence in the way society thinks and behaves. I have seen many people in Indi who go only by what the media says and have wondered if people don’t think for themselves at all. Social media is a platform that also has a very strong influence on the readers of books. It influences the decision to either buy or not to buy a particular genre of book. The world has come to a stage where writers cannot survive and succeed without the social media. On the flipside we also know some platform writers who have established a niche for themselves in the literary world just by promoting themselves in the social media. It is a disappointing truth that genuine writers of high standard of literary books have to struggle to find a market for their work after having labored hard to write what they have written. But then this is the phase in history where writers need to simply recognize the limitations of the time in which they live and become positive users of the social media to promote their work. Nalini - If we discount reading for the purpose of reviewing, have you changed as a reader after you started writing? M C Raj- I thought people who review, read a lot. Maybe it has become a profession and reviewers do only a peripheral ‘job’ of writing. When I review I read the entire book and give word to whatever happens within me while reading. I hope all reviewers do that. In my case of reading and writing, I must acknowledge that my reading has come down considerably after I started writing. I am not all disturbed by it because I am a man of my opinions and not a follower of what I read in books. I also acknowledge that I have written many thousands of books before I started writing both my philosophy and my fictions. Any writer who gives up the habit of reading is doomed. However, I don’t want to read many fictions as I don’t want to be influenced by other novels in my plots. I like to be as original as possible. Nalini - Do book reviews and scholarly criticism matter in this age of social media and hyper marketing? M C Raj- A writer is not a finished product. She/he is evolving through her/his writing. Constructive criticisms are essential ingredients of any evolving writer. Social media can easily lead a writer into an illusion. But criticisms of scholars are not illusionary. They contain many truths, unpalatable maybe. They are the bricks that heighten the standard of writing of a literary product. Book reviews are very important in feeding back to the author from a third eye-view. It is very important for the character building of a literary work (not the person) to be constantly getting feedback from a third eye-view. Nalini - What message would you like to convey to aspiring writers? M C Raj- Every writer is unique and does not need any advice. Each writer must follow only what he/she thinks best and not follow anyone’s advice or message. Author Info - Nalini Priyadarshni is the author of Doppelganger in My House (2016) and co author of Lines Across Oceans (2015). Her poems have appeared in numerous literary journals and international anthologies including Mad Swirl, Camel Saloon, Dukool, In-flight Magazine, Poetry Breakfast, The Gambler, In Between Hangovers, The Riveter Review, The Open Road Review and The Yellow Chair. Her forthcoming publications include Sacred Women in the Anti-violence movement: Anthology and Your One Phone Call.